Perfume wise a good Summer scent is my weakness. Before the blogging world was even a speck of an idea for in my head pretty much the only time I would ever think about getting a new perfume was when travelling for the annual family Summer holiday. Duty Free Shopping has always been a weakness for me and it was there that I’d always pick up a new scent – I loved the idea of the new perfume becoming connected to a memory of the holiday so picking something out before a holiday for me was as much a part of the ritual as have a big breakfast at the airport regardless of what time the flight is. Since then, a scent that captures something about Summer has always been something I’ve loved. With eternal favourites being the amazing Estee Lauder Bronze Goddess and Tom Ford Soleil Blanc plus an honourable mention for the scent of my teens (that yes, I still have a bottle of and love to this day) Davidoff Cool Water. But with a new season ahead and WOO LOVE ISLAND STARTING. 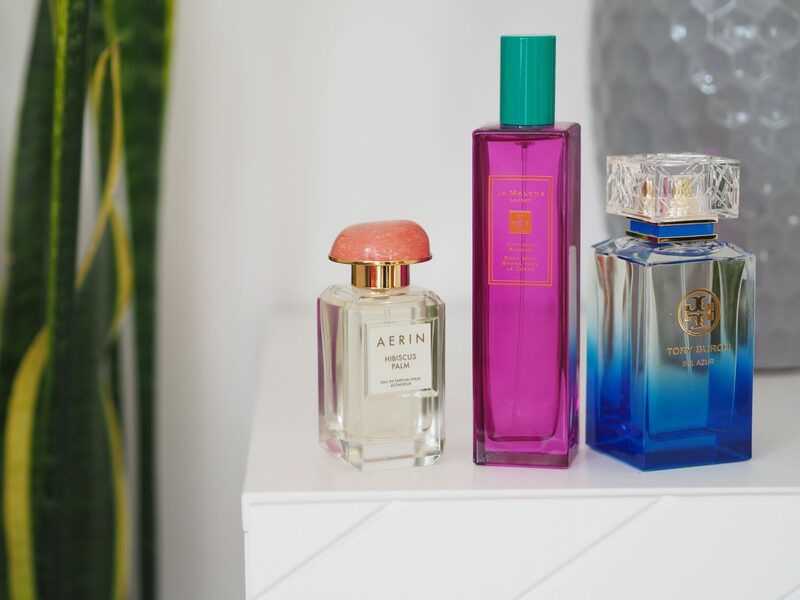 Now is the time for me to share three summer scents that I am loving for Summer 2018. A first for Jo Malone, this is the new body mist and the bottle is a beauty. Bright magenta with a teal green lid. LOVE this colour combination but the scent inside is even better. A tropical fruity floral manages to be fresh, fruity and warm all at the same time. Smells like sun cream and tropical flowers and I love it. 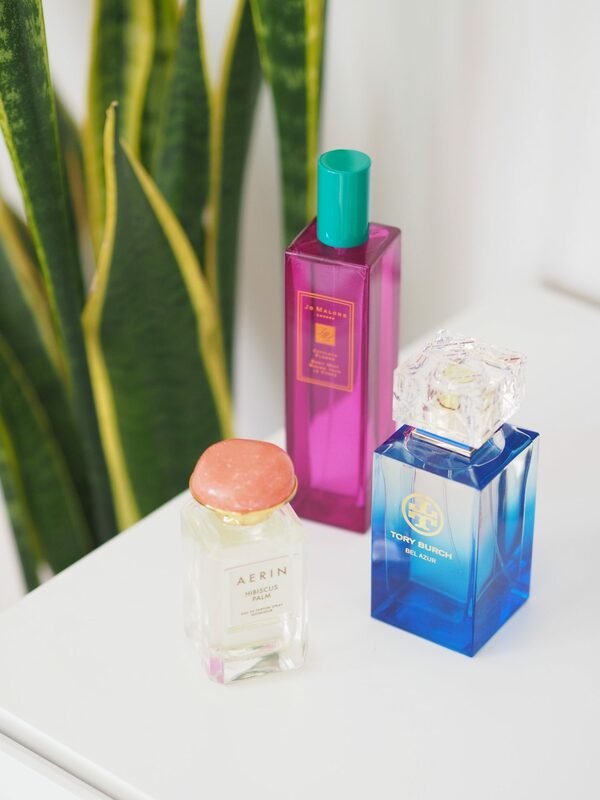 This is how I want to smell when on holiday and in life as it feels like one of those scents of someone who doesn’t really wear a perfume but just spends time wafting through life picking up the perfume of gorgeous flowers and fruits around them. Ok, so this might not be a person who actually exists in real life but if they do then they smell like this body mis and I am very jealous. Summer in a bottle. Another one where I’m already won over by the pretty bottle. A bold blue into clear reminds me of the shades of blue of the Mediterranean. 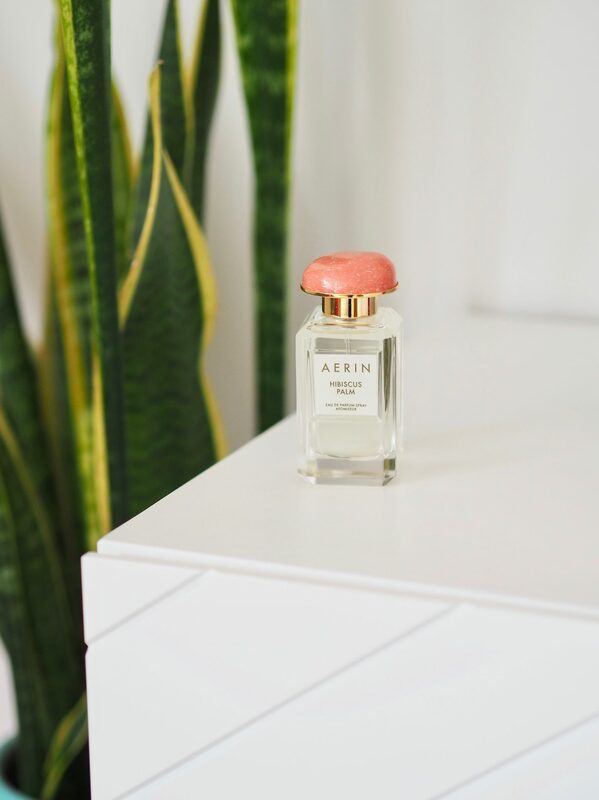 This one is a fresh and zingy take on Summer scents with bergamot being the top note, with neroli and peony from a dose of floral all with a touch of cedar and vetiver for the base. I like how this one is fresh and has a sort of ‘unisex’ feel to it in a way. It reminds me a little of the Davidoff one, so I think that might be why I like it. 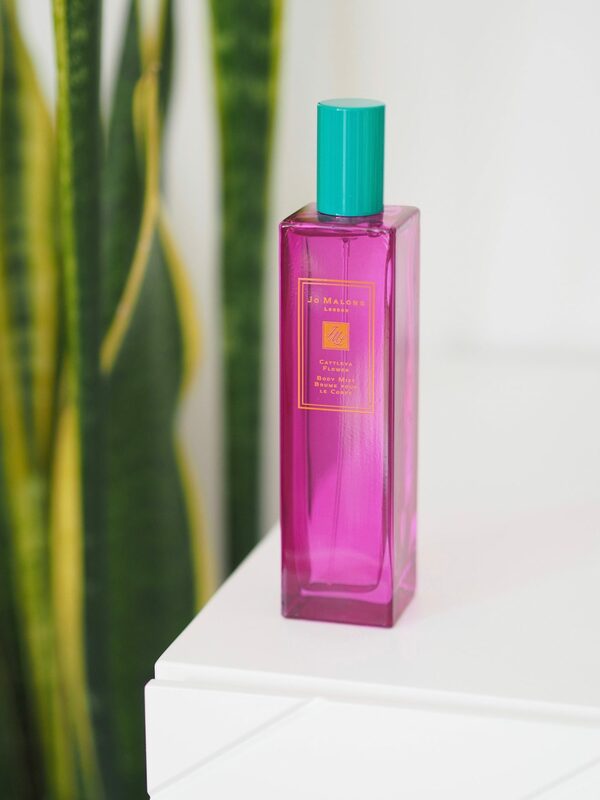 If you like a Summer scent to be refreshing and with citrus notes then this one is a winner for you. 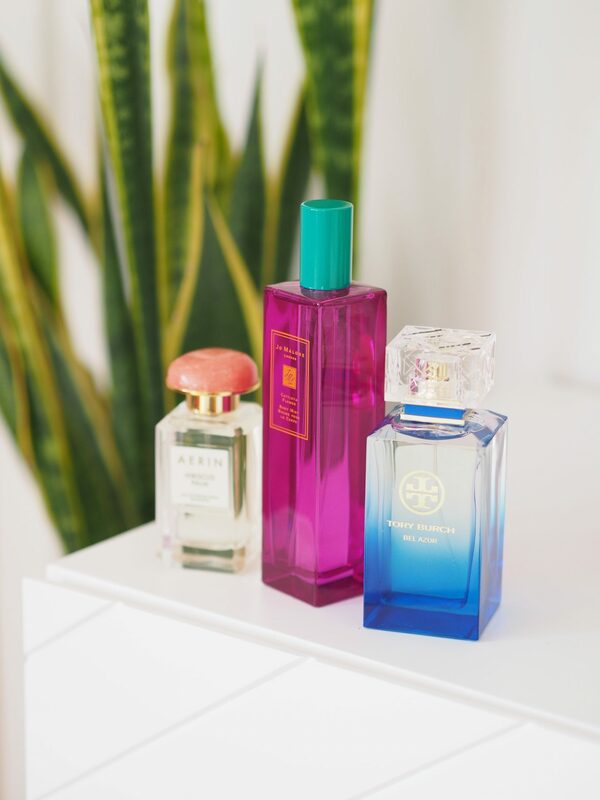 Ok ok… I’ll admit it – I am a total sucker for pretty packaging as this trio of fragrances shows. 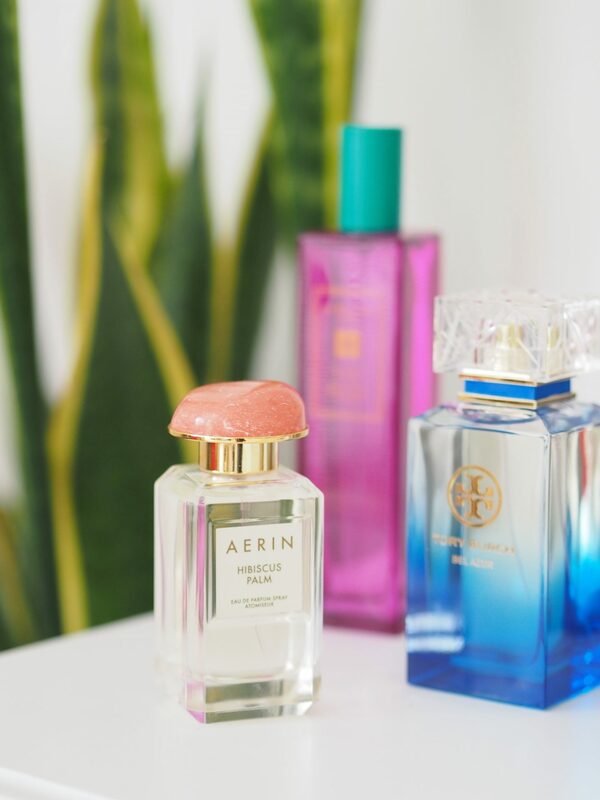 But really, Aerin fragrances really are just gorgeous packaging wise. The coloured stone-like topper on each one makes them stand out but simple all at the same time. 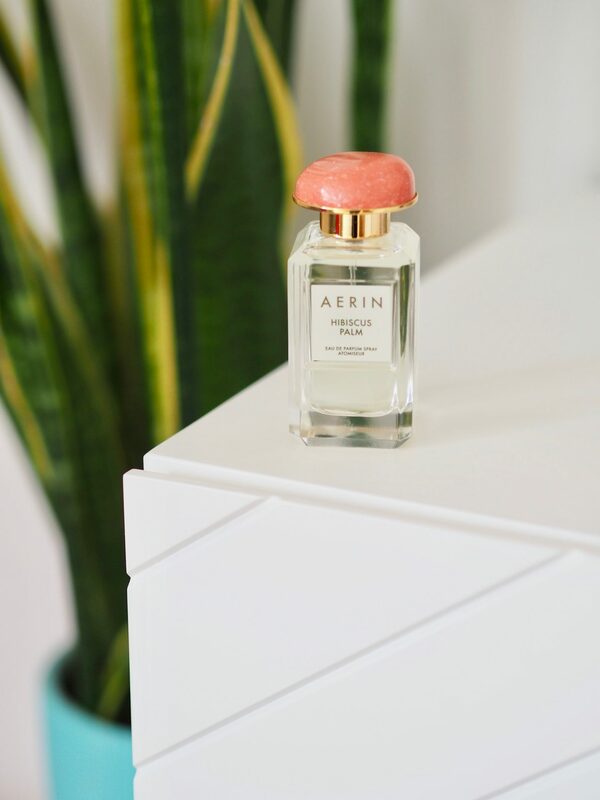 This Aerin Hibiscus Palm perfume is the fragrance that captures the Caribbean for me. I was a bit clueless to what the hibiscus palm actually was but if you google it and look at the images you get are pure summer. Green palms and tropical flowers. This fragrance captures the warmth of Summer to me. It is one i want to breathe in over and over and might just make it into my favourites list with Bronze Goddess and Tom Ford. This is one of those perfumes that smells like a clean beach towel warmed in the sun mixed with a fruity cocktail and your favourite suncream. 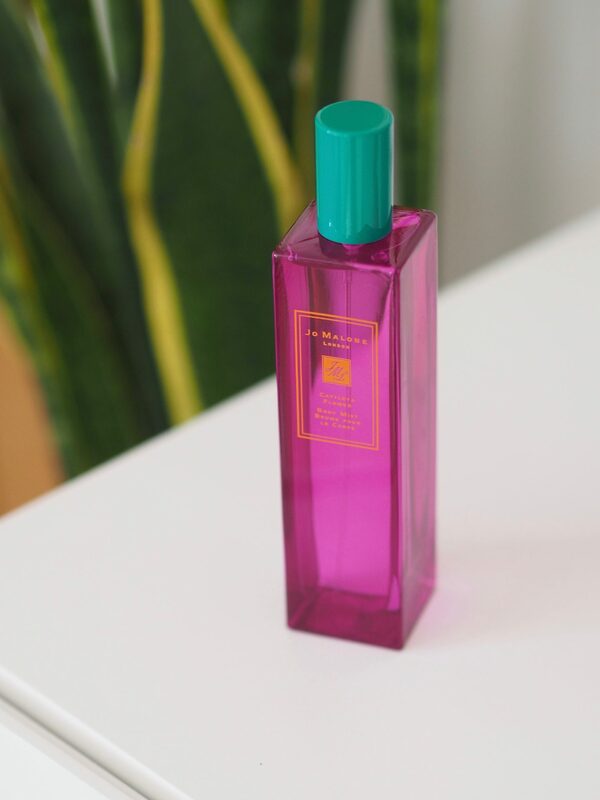 It’s delicious and trust me – if you like Summer scents like Bronze Goddess and the Soleil Blanc then you will adore this. 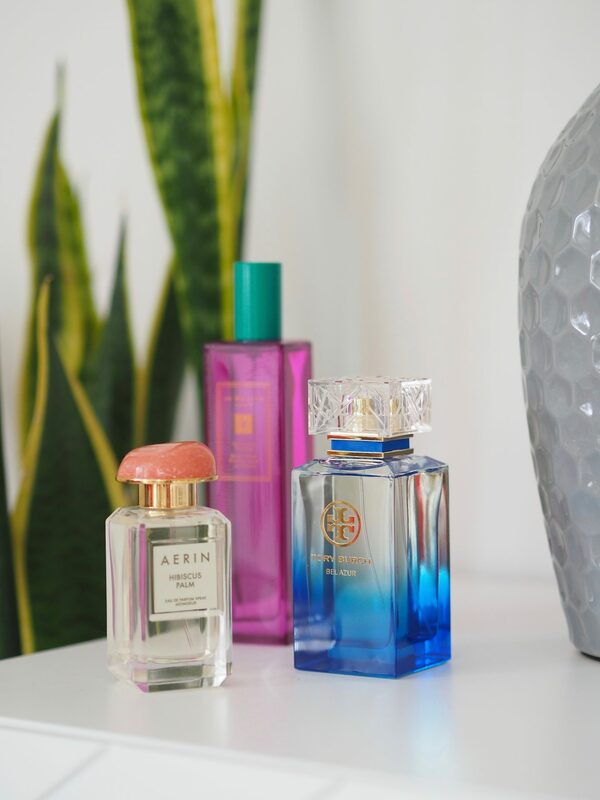 Three scents all capturing something special about Summer and giving a little spritz of sunshine to your day. If you like an all-over type of scent, the Jo Malone Cattleya Flower Body Mist is the one for you. 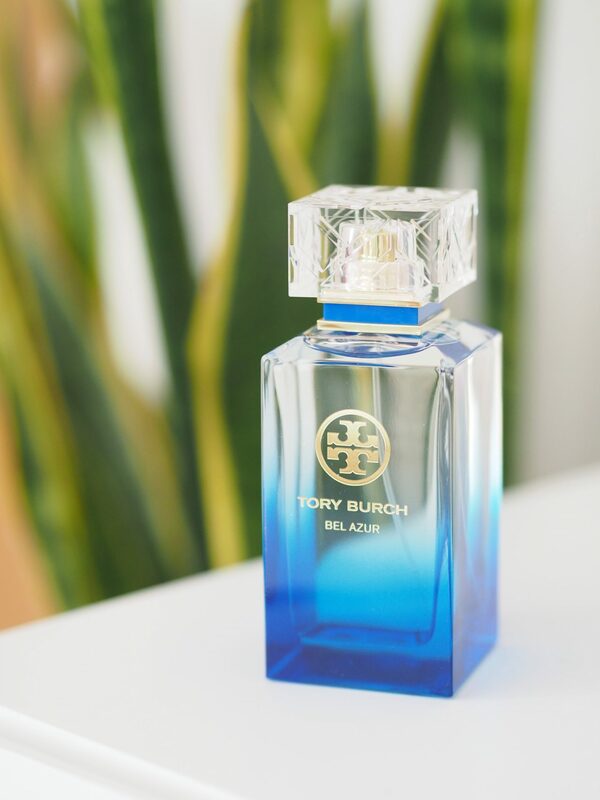 If you like a refreshing citrus type of Summer scent then Tory Burch Bel Azur. 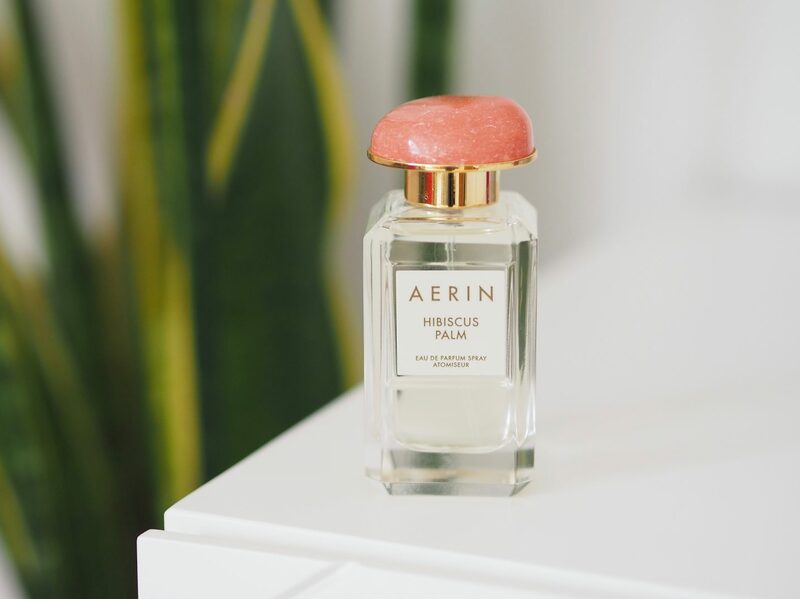 Or if you want that sunshine warmed skin type of fragrance than Aerin Hibiscus Palm is the dream. It’s gorgeous- absolutely in love with it!